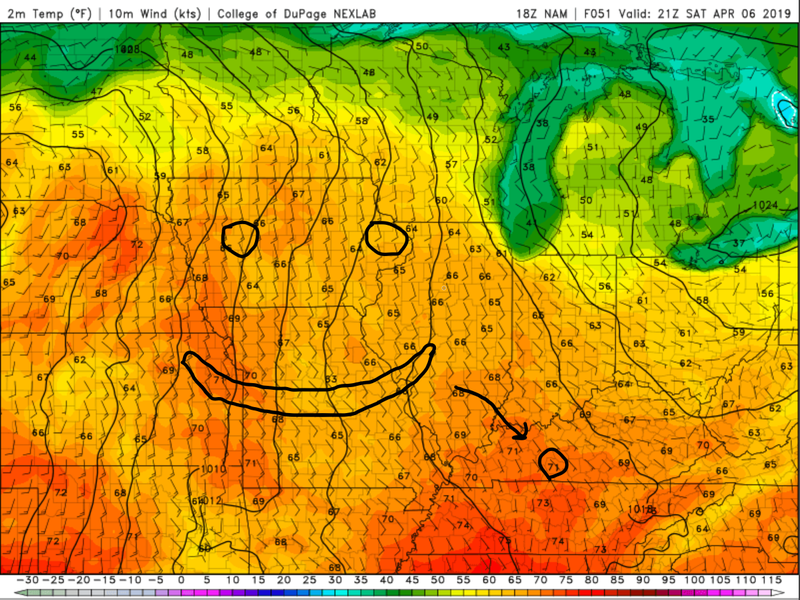 ← Rain Chances on the Way! A shortwave trough noticeable at 500mb is currently over the eastern Great Plains and will continue to move east into our area heading into tonight. As the small disturbance moves our way, it will bring along with it the chance of some showers. It’ll be soggy for most of overnight hours and gradually clear as the disturbance moves east. Heading into tomorrow, the rain will be well east of the area and it will dry out. The area will remain under cloud cover. Temperatures during the day will stay in the mid-to-upper 60s. High pressure will begin to settle into the western parts of the Ohio Valley heading into Friday night and Saturday. Saturday will be absolutely gorgeous with partly sunny skies and highs around the area reaching the low-to-mid 70s. A more active pattern will setup heading into Sunday as an upper-level trough builds in from the west, allowing the winds to shift to a more southwesterly flow. 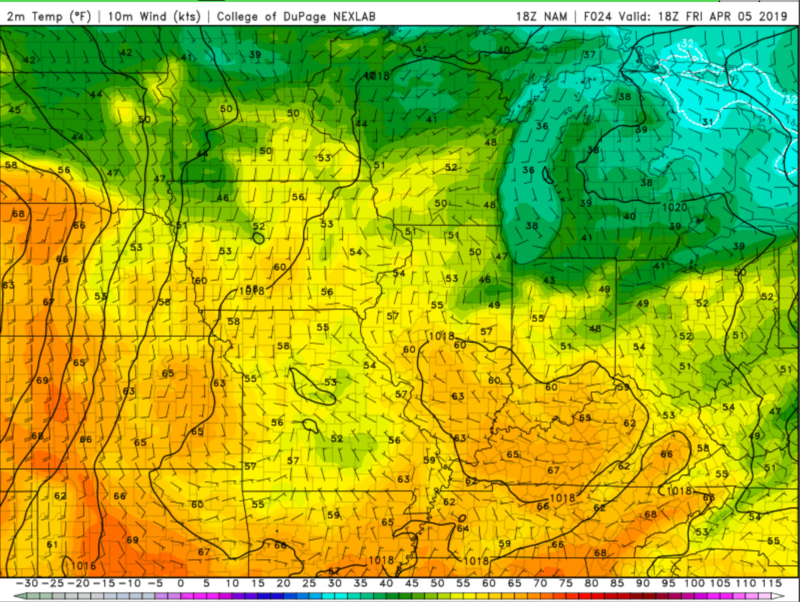 This will allow more moisture and instability to move into the region. Confidence is still low on the severe weather threat on Sunday, because we are four days away. 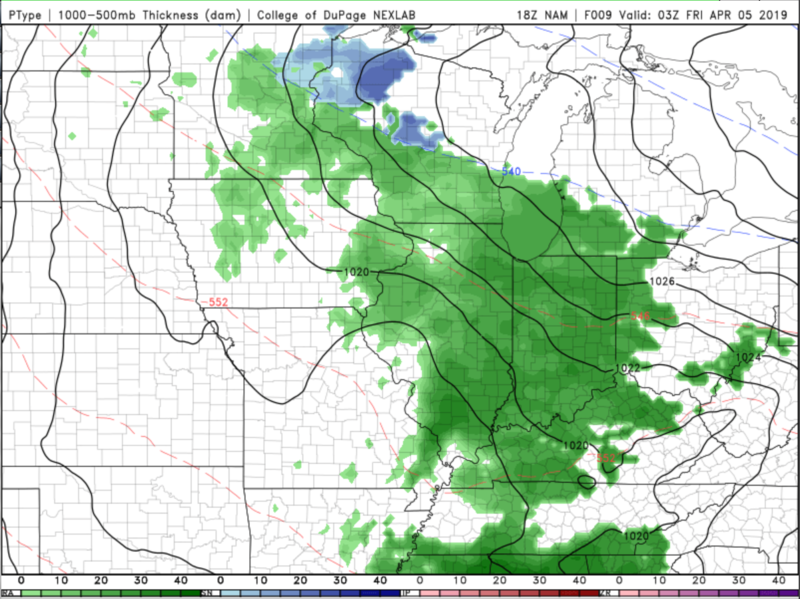 But as time progresses and we move closer to Sunday, things can definitely change so tune into the WKU Meteorology Blog or WSWX for further updates. Tonight: Showers likely, mainly between 9pm and 5am. Cloudy, with a low around 54. South wind 5 to 9 mph becoming light southeast after midnight. Friday: Mostly cloudy, with a high near 66. Calm wind becoming west around 6 mph in the afternoon. Friday night: Mostly cloudy, with a low around 52. Saturday: Partly sunny, with a high near 75. Sunday: A chance of showers, with thunderstorms also possible after 10am. Mostly cloudy, with a high near 78.